Ontario legislators have quietly increased their rental housing allowances by around 20 per cent arguing that they've been paying out of their own pockets to subsidize housing in Toronto's hot real estate market. Documents obtained by The Canadian Press show the Board of Internal Economy — a little-known body that operates the legislature building and sets politicians' living expense budgets — decided to hike the housing accommodation ceiling in October retroactive to July 1, 2018. The monthly rental allowance, which applies to all legislators who live at least 50 kilometres from the seat of government in Toronto, went from $1,910 to $2,300 — a jump of just over 20 per cent. Cabinet ministers and opposition leaders also received a similar increase of nearly 20 per cent, hiking their monthly accommodation budgets from $1,993 to $2,383. Speaker Ted Arnott informed legislators of the change on October 16 but a report that reflects the increase won't be made public until sometime this summer. The increase comes on top of already approved annual hikes tied to the province's rent control rate — 1.8 per cent in 2018 and 1.5 per cent in 2017 — put in place by the board under the previous Liberal government. Tory legislator Sylvia Jones, one of two voting members of the board, defended the board's decision, saying it was necessary. "After receiving a report showing how many members subsidized their Toronto accommodation, the Board of Internal Economy agreed that the housing allowance would be increased to deal with an increase in housing costs," she said. The other voting member of the board, which meets behind closed doors but files its meeting minutes with the province's legislative library, is NDP legislator John Vanthof. The New Democrats, who are the official Opposition, also said the 20-per-cent increase was necessary due to the higher rental prices in the GTA. The average one-bedroom condo apartment rental in Toronto is $2,055 a month, and a two-bedroom condo apartment rents for $2,755, according to a Toronto Real Estate Board report released in October. It also said strong competition between renters continued to sustain double-digit or near double-digit annual average rent increases on a year-over-year basis. The move comes as the Tories implement an aggressive cost-cutting agenda in order to deal with what they say is a $14.5-billion deficit. Liberal legislator Michael Coteau, who did not benefit from the latest increase, said the move makes politicians look bad. "The government has decided to increase their own housing allowance when they've eliminated after-school programs for some of the most vulnerable kids in this province," he said. "They continue to say that everyone is going to have to sacrifice but for some reason they're not part of that sacrifice." Since taking office, the Ford government has come under fire for introducing a number of cost-cutting measures like ending a $100-million school repair fund and rolling back a planned social assistance rate increase from the three per cent to 1.5 per cent. 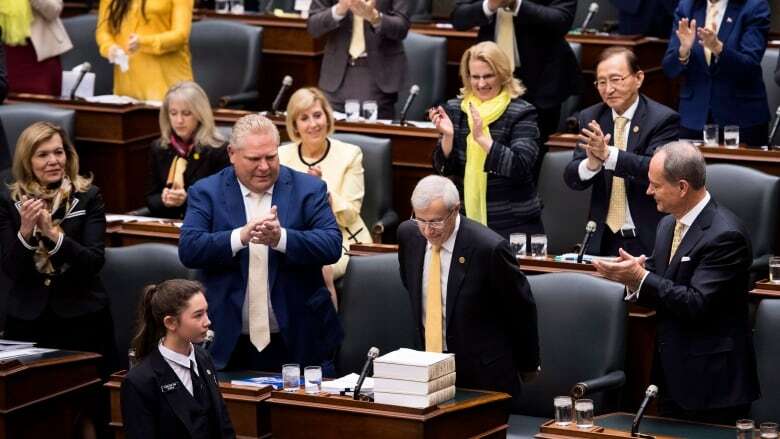 John Milloy, a Laurier University political science professor and former Liberal cabinet minister, said expenses at Queen's Park have always been a sensitive issue. "Nobody was living in the Taj Mahal," he said of legislators' apartments during his time in office. Milloy, who once sat on the board of internal economy, said it could make its decision-making process more transparent. Meeting out of the public eye removes a lot of partisanship from decision-making, he said. "In terms of the information they deal with, there is a practical side to this," he said. "I think if voters take a deep breath, you don't necessarily want ... a system that you can be a politician but your expenses aren't going to be covered." At the federal level, the Internal Board of Economy began holding public meetings in early 2017 after the Liberal government promised to make its proceedings public during the last election campaign. The board had come under criticism for meeting behind closed doors and offering few details about their deliberations or decisions regarding its duties governing MP spending, budgets and other administrative issues.